The Venus transit that passed last night is a phenomenon, which occurs in a pattern repeated every 243 years, with pairs of transits eight years apart separated from each other by 105 or 121 years. The last transit was in 2004. Similar to a solar eclipse, the planet Venus visibly moved across the face of the sun during the event, partially blocking light from the sun to Earth. Transit took approximately six and a half hours. 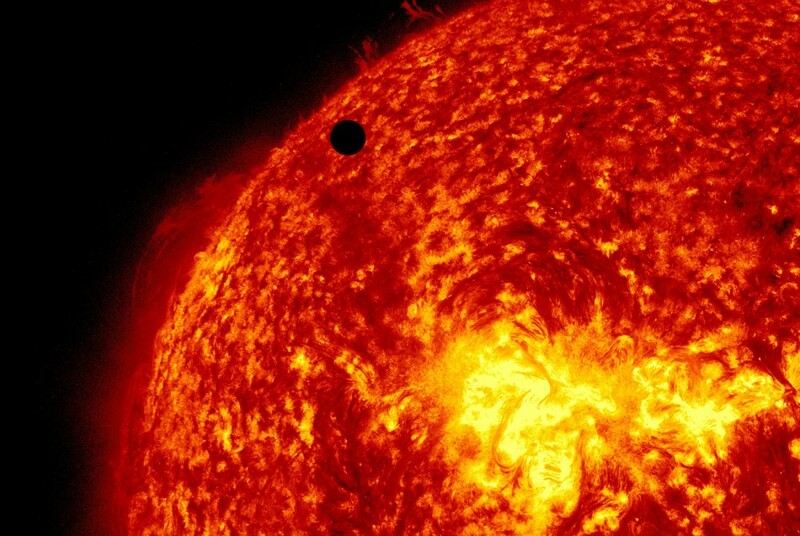 If you plan on living another 150 years you shall witness the Venus Transit again in the year 2117. Historically,transits of Venus helped astronomers gain the first realistic estimates of the size of our solar system. It was noted researcher Johannes Kepler who, in 1627, first accurately predicted a transit of Venus, which occurred four years later. Venus has truly helped shape the way we observe the heavens at night and allowed us to gain better understanding of Space Science.